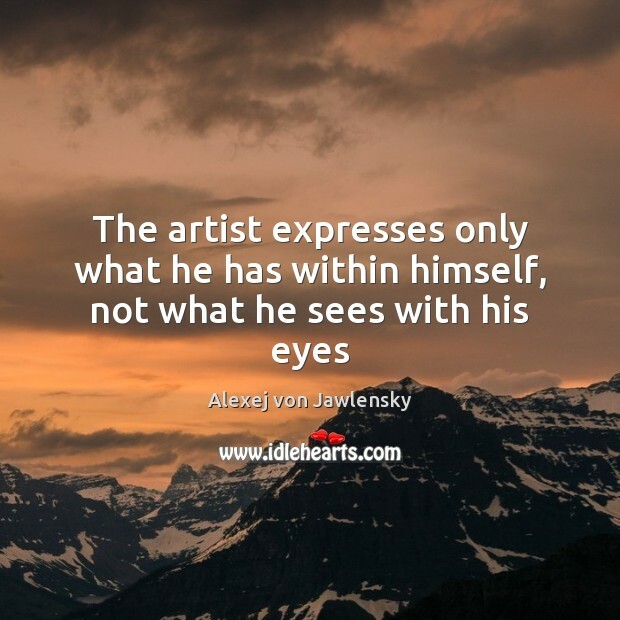 Enjoy the best inspirational, motivational, positive, funny and famous quotes by Alexej von Jawlensky. Use words and picture quotations to push forward and inspire you keep going in life! 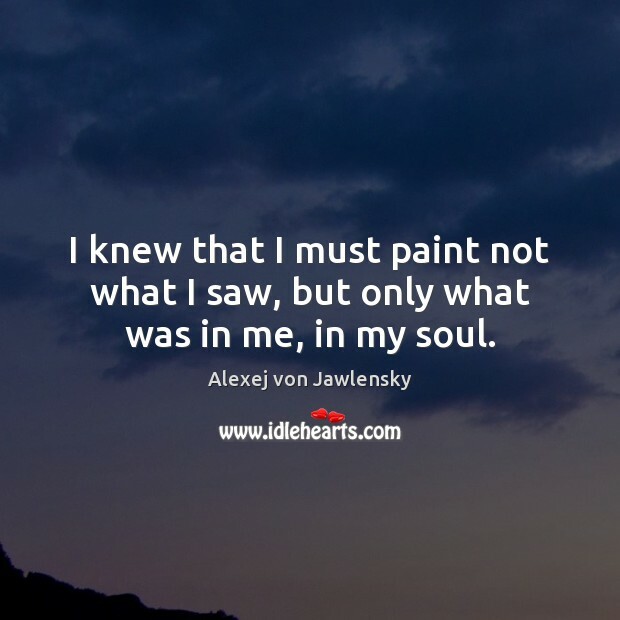 I knew that I must paint not what I saw, but only what was in me, in my soul. 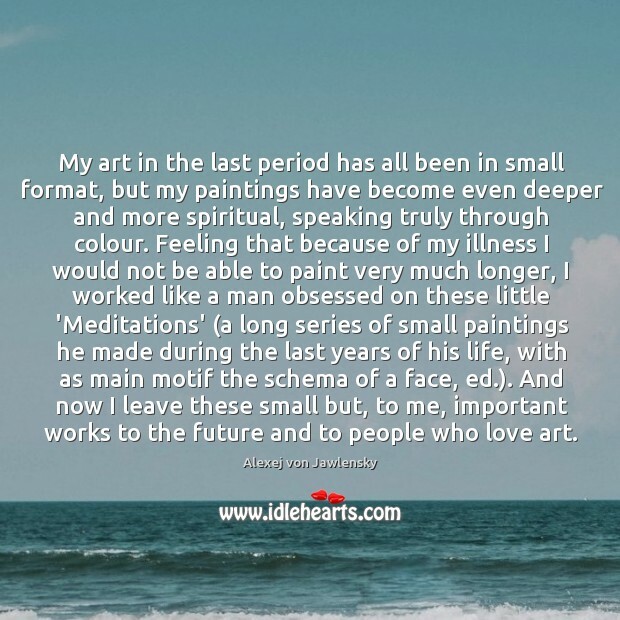 My art in the last period has all been in small format, but my paintings have become even deeper and more spiritual, speaking truly through colour. Feeling that because of my illness I would not be able to paint very much longer, I worked like a man obsessed on these little 'Meditations' (a long series of small paintings he made during the last years of his life, with as main motif the schema of a face, ed.). And now I leave these small but, to me, important works to the future and to people who love art.